NAEM's 2015 EHS Management Forum Dave Kolasinski, Safety Manager; NSK Americas Inc.
Dave Kolasinski, Safety Manager; NSK Americas Inc.
David (Dave) Kolasinski graduated from Wayne State University in Detroit, MI with a M.S. in Hazardous Waste Management. Dave attended Oakland University for his undergraduate studies, B.S. in Environmental Health. Dave recently completed the OSHA 501 Trainer for General Industry and is an ISO 14001 and TS16949 Lead Auditor. Dave has held positions in the EHS field throughout his career in various manufacturing industries, including heavy metal stamping, welding, electroplating, aluminum extrusion and forging and thermoset resins compounding. During his career, Dave has worked with several companies, including A.G. Simpson, Hydro Aluminum, Bulk Molding Compounds and NSK Americas. Dave also had global responsibility at Hydro Aluminum and Bulk Molding Compounds, Inc. overseeing EHS Management Systems. He facilitated improvements in manufacturing facilities globally by sharing best practices, implementing behavior-based safety processes and conducting various corporate EHS audits. 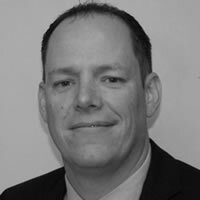 In Dave’s current position with NSK Americas, he is responsible for managing the Safety Systems, serving as the Safety Manager. At NSK, Dave focuses specifically on the standardization of safety practices and procedures, works on developing and conducting comprehensive safety audits with an initiative to share best practices across all locations. NSK Americas is currently working towards developing and supporting OSHAS 18001 (ISO 45001) Safety Management Systems for the manufacturing sites.